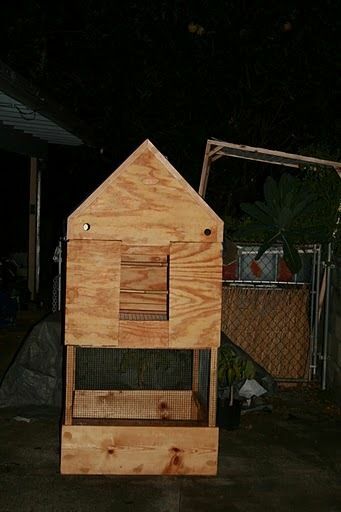 I built this for someone - a vertical chicken coop and worm composting bin. Based on his ideas, it was built modular for easy portability. by his request, it was as organic as possible. linseed oil was used to seal the wood, bamboo for roosting poles. 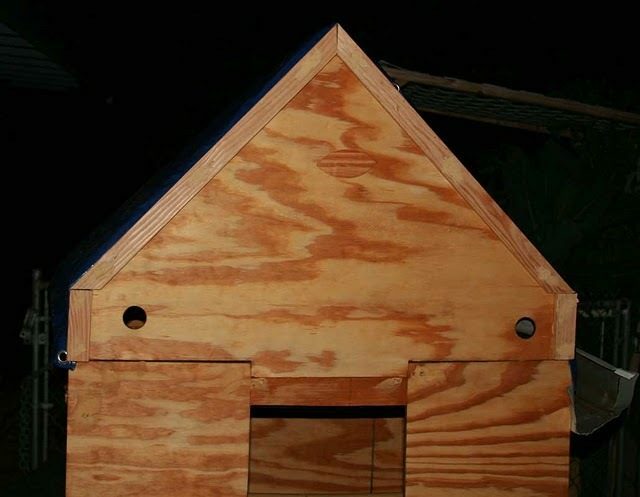 also not shown: top section is made with pvc pipes to make it lighter. the tarp is covering it. there is a rain gutter on the side for a future water collection device. 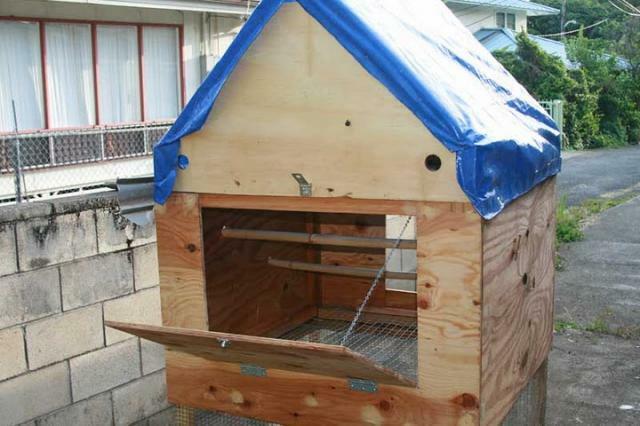 the bottom/middle section will be filled with compost, to act as a buffer from the chicken poop. the worms will be in the bottom bin. 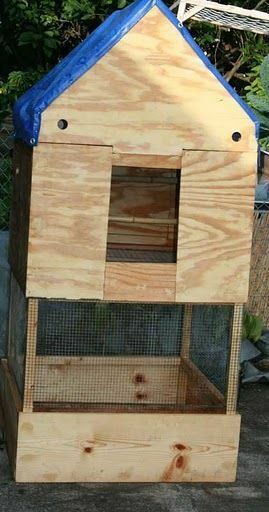 The chickens are free range, and he is not concerned about the eggs. Not much detail here and I know that everyone has to pick their own battles. I'm only surprised at using PVC in an environmentally conscious coop. "Would have liked to see more..."
Nice job on the build. 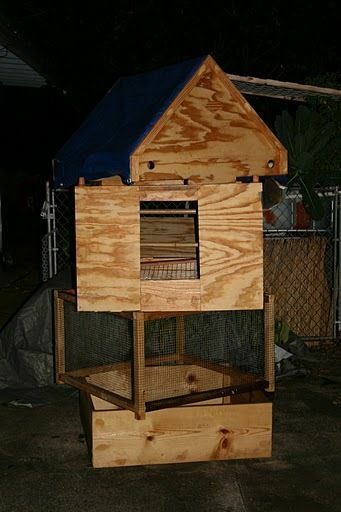 I would like to see more photos and details of the build. Do you have more?